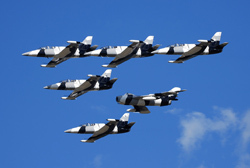 The 2011 Boston-Portsmouth Air Show at Pease Air National Guard Base took place on August 13-14, with the U.S. Air Force Thunderbirds as the headliner. Dave O'Brien spotted the participants arriving, flying practise and Sunday's display. Even though Portsmouth has an ANG unit, the 157th ARW has no affiliation with this show. It's a civil run show which charges $25 at the gate on top of a $10 parking fee. With terrible lighting for photography (not shows fault) and less flying acts, which flew from 11 AM to 4 PM with 15 minute gaps between acts, I have a hard time paying for an air show for myself and two boys. Other New England shows only ask for a $10 donation, like Rhode Island, Westfield and Westover, but those are run by the guard units stationed there. All my shooting for this show was shot from the Pease Golf Course right off the South end of RW34, on the arrival and practise days Thursday, Friday as well as during Sunday's show. 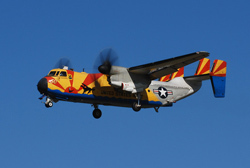 I want to give them a HUGE Thank You for allowing photographers and air show fans to use their parking lot this year. Last year the show and course roped off these areas which made photography very difficult and we had to sneak on. This year they opened the doors to us photographers and fans. The one downside of being here opposed to being on the base is you can't really get any good shots from the smaller acrobatic acts because they stay in front of the crowd line. 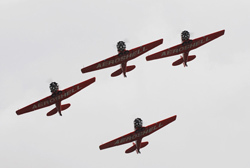 This year we saw Sean D. Tucker, Michael Goulian, Team AeroShell which fly T-6 Texans, the Northeast Raiders flying the Yak-52 and Nanchang CJ-6. Jason Newburg is a new performer for me, he flies a Pitts Viper. Other acts were Dan McCue in his F4U Corsair and flying a P-51 Mustang and the home unit did provide a KC-135R for a few fly-bys. I wish they would have put up a fighter to fly formation to give the crowd a better example of how they refuel air force aircraft instead of just having the boom down for a fly over. The US Army Golden Knights were the show's parachute demo team and they had the F/A-18C Hornet demonstration from the US Navy. 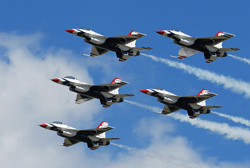 It has been over 20 years since the return of the Air Force demo team, the Thunderbirds returned to the former SAC Air Force Base at Portsmouth NH. The Thunderbirds did a great show as always.